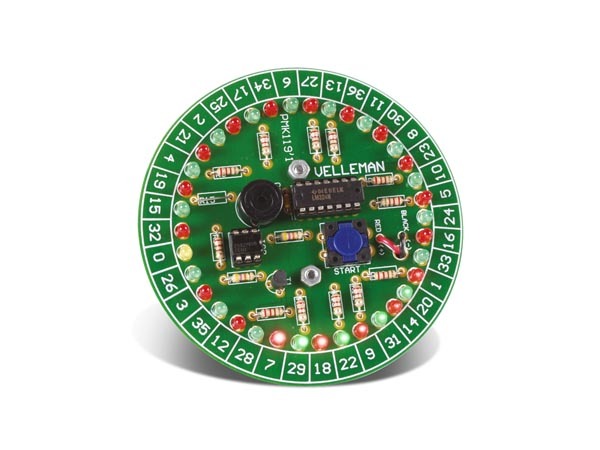 Velleman Roulette Minikit. 37 LEDs. Spinning sound. 'Winner'-tune for each colour. Spins LEDs between games. Push-button operation. Microprocessor technology.